You can take influenza, literally. It came from an Italian word meaning influence. Influenza is very infectious. It infects mammals, birds, and humans. The influenza virus is spread through air and any form of body contact. This viral disease is as old as human evolution. The most believable account of how it began is the theory that it must have occurred when humans started owning animals. Hence, the animal to human path of infection. Ancient Greek doctor Hippocrates kept the first record of influenza symptoms around 2400 years ago. Herodotus, the ancient Greek historian, observed the same thing, too, around the same time. In Eastern Europe the first influenza epidemic was recorded in the 1580s. Experts believe it began in Russia and later spread out to Central Europe and Africa. The epidemic killed hundreds of thousands. While he was treating patients coming down with Spanish flu in 1918, Dr. J.S. Koen noted that human and pig influenza symptoms were the same. It was not until 1931 that the orthomyxoviridae strain of the virus was discovered. The strain was first observed by Richard Shope. 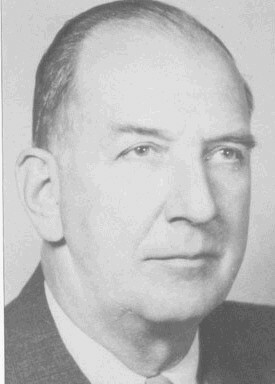 Dr. Shope started by studying influenza symptoms in pigs in 1928 with N. McBryde. But Dr. Mc Bryde gave up untimely. Dr. Shopes carried on all by himself. He took mucus samples from infected pigs. Then he infected healthy pigs with the virus. Dr. Shope then proved that influenza was caused by a virus. Meanwhile, a British team led by Dr. Patrick Laidlaw was able to isolate the influenza virus from humans in 1933. In 1944 the first successful attempt at making a cure for influenza was done by Thomas Francis Jr. and a team of experts from the University of Michigan. They based their work on an earlier experiment by Frank Macfarlane Burnet. Burnet found out that when he cultured the influenza virus in a fertilized chicken egg, it could not infect. Influenza virus has three types: A. B, and C. Of all the types, A is the most flexible. It can thrive anywhere. At present there are about 15 HA serotypes and 9 NA serotypes. Because the virus continues to mutate, unknown subtypes already exist. Type B influenza infects only mammals and is less virulent than Type A. Type B has no known serotypes. Type C virus infects humans but rarely causes a serious disease. Neither has it any known serotypes. 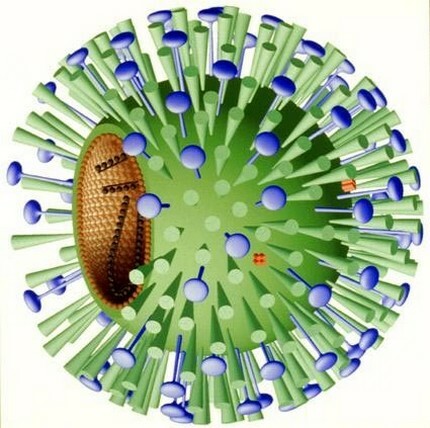 The influenza virus is about 80 to 120 nanometers in diameter. It is therefore extremely small. Under the microscope it appears spherical, sometimes appearing as a very small filament. The virus’s outer side has a fatty layer that is covered with glycoprotein spikes. There is a line of proteins deep in the fatty layer. Compared with epidemics in the past, modern flu epidemics are less deadly and massive in scale. Modern medicine has done so much to stop the spread of virulent virus. However, some of the worst flu epidemics that happened within the last century were the Asian Flu of 1957, the Hong Kong Flu of 1968, and the great Swine Flu of New Jersey in 1976. Russia had its share in 1977. The latest flu epidemic to scare the world is the H1N1 virus. So far studies about its origins remain unclear.